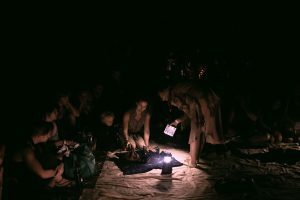 Echoes in Time is a week long ancestral skills conference held every July in Oregon’s Willamette Valley and the Traditional Territory of the Kalapuya, near Monmouth. 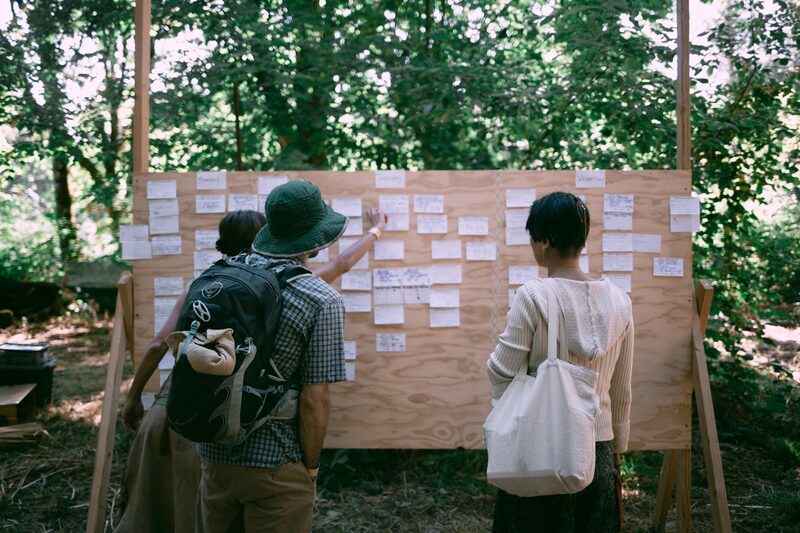 Our mission is to unite people from different demographics, communities, and backgrounds, through the sharing of common traditions of place-based ancestral living skills. 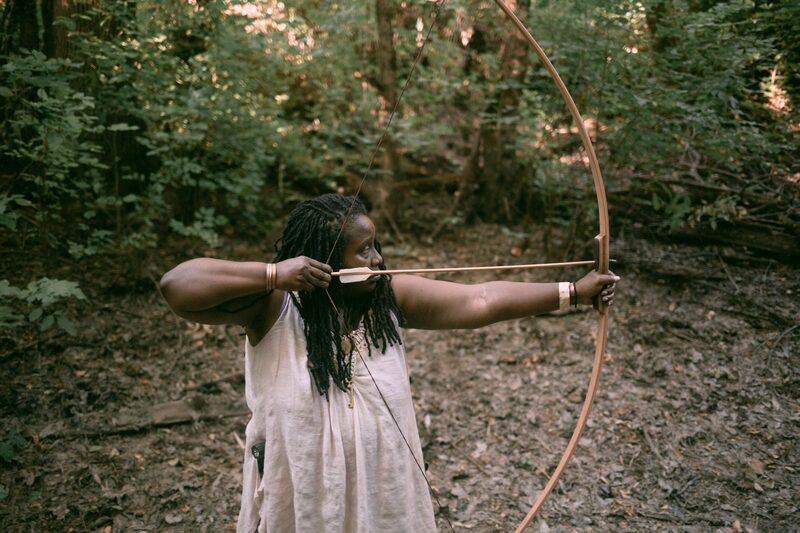 Participants camp out on private property and enjoy 5 days of learning various skills from the “stone age” to the “iron age” (basketry, bows & arrows, wild edible plants, pottery, black-smithing, stone tools, felting, animal tracking, and more). This is an excellent family adventure and no previous experience is required. In this age of ever-increasing technology and globalization, the skills of preindustrial people are being forgotten. Come remember them with us. 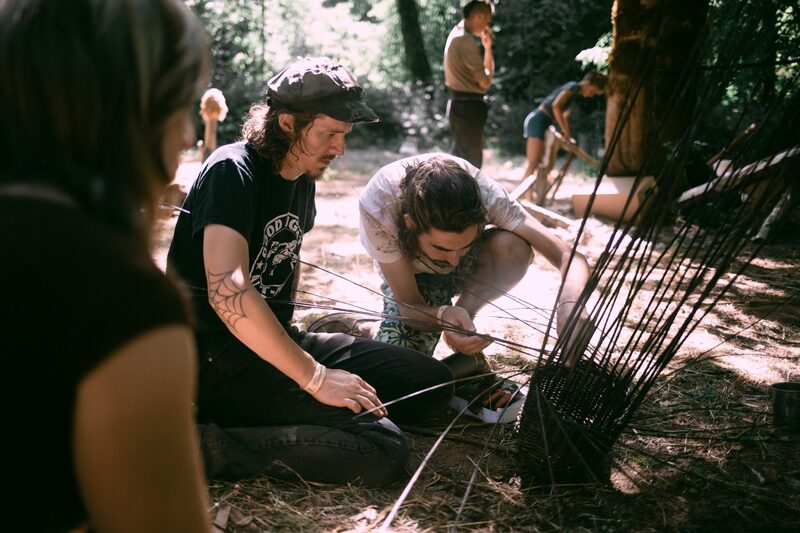 Echoes is a program of Rewild Portland, a nonprofit organization. The classes are the heart of the Echoes in Time experience. Participants arrive on Sunday and set up their camps. Classes are held Monday through Friday. Saturday people break camp and go home. Many different classes are offered throughout the week. Skills taught by the instructors focus on ancient living techniques but may include the latest in low-impact, appropriate technology. Ancestral Skills are not created in a vacuum, but rather emerge through the congress of people, the place they live, and the ideas they have. 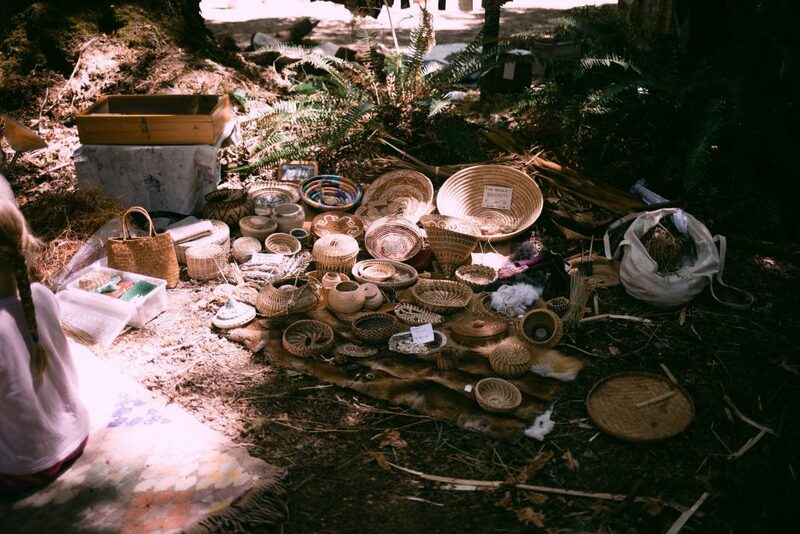 It is important to talk about the context and relationship between people and place through which crafts and culture are born. The Philosopher’s Fire is a curated evening lecture series by experts in various fields of prehistory, archaeology, anthropology, and more. Lectures are usually followed by Q&A and dialog on various topics into the night. The barter fair happens twice during the week and is the time for instructors to sell their wares. 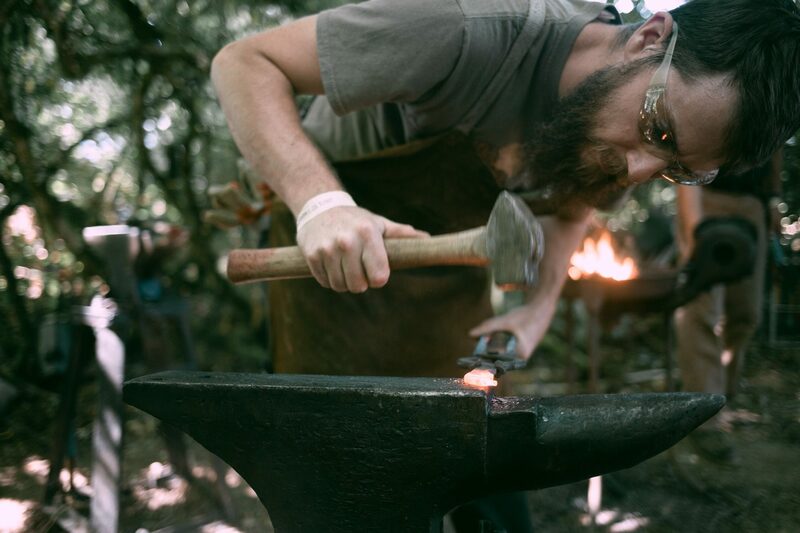 Many of the instructors make a living as makers and this is an opportunity to buy some really amazing hand-crafted items and support local artists. 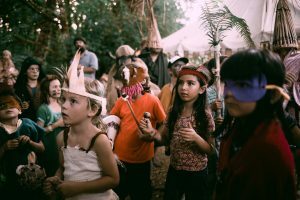 Costume & Mask Night is a celebratory night in which participants create fun costumes and masks, play music, and dance around the fire in the evening and show off the amazing things they have made throughout the week. In addition to our adult workshops, we offer a Kids Program for children (ages 5 to 11) in which our young ones will get the chance to learn some of the same skills as their parents. Parent volunteers are always welcome. Kids must have a parent or adult guardian 21 or older in camp at all times. Parents are responsible for their children when the kids aren’t attending classes. Children ages 4 and under should remain with parents unless the kids camp staff approves of their involvement. Ages 12 and up can audit and fully participate in adult classes with the permission of the instructor. Every morning we raffle off amazing items donated from the community of teachers and participants. At the end of the week we raffle two full registrations for the following year. The money raised from the raffle goes to our Scholarship Program. Instructors and participants are encouraged to bring amazing items for our raffle. For more information on that, see our registration page. 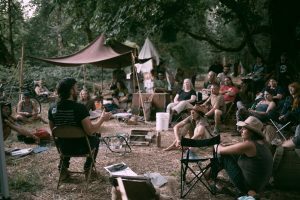 Echoes is held at Dicentra Farm & Sanctuary, just south of Monmouth, Oregon on the traditional territory of the Kalapuya. It is about a 1.5 hour drive south from Portland. 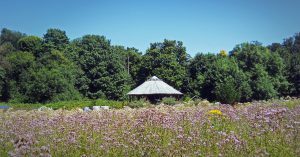 This private property is part farmland (grass seed) and part woodland. The property is near the intersection of Airlie Rd & Simpson Rd Monmouth, OR 97361. We will have good signage from the intersection to the entrance of the property. There is no actual address for this property, but see below for a GPS point and a link to a Google Map. Use a Google Map to get to the intersection of Airlie Road and Simpson Road in Monmouth, and you will see signs pointing you to the entrance from there (however keep in mind that Simpson Rd. is gravel, so if you don’t want to drive on it for a long time than make sure to come around from the Airlie Rd side). The entrance is about 300 yards east from the intersection on Simpson Road. You can see it from the intersection, and it will be marked with Echoes in Time signage. The property is hidden behind a grass seed farm, so the entrance doesn’t look like much, but we’ll have signs to make sure you see it. It is a large grass field, with woodland back behind the grass. Please stay on the designated road as you enter the property. This is very important: DO NOT DRIVE ON THE GRASS. at Airlie Rd, turn left. at Simpson Rd, turn left. Travel just a few hundred yards and look for the signs. Echoes camping is limited to certain boundaries within the property, so all campers must check in at the Echoes Registration Booth before setting up camp. There are sensitive wildlife areas with nesting birds, that may look like a place to set up camp, but isn’t. This is why you need to check in at the registration booth. Trailer and RV hookups are not available in the area of the Echoes in Time camp, but there is a trailer/RV camping section in our parking area. We provide breakfast and dinner, starting with Sunday evening dinner and ending with Saturday breakfast. Lunches are generally fend for yourself. We have vegetarian and omnivore options. Because of the rise in food sensitivities, most meals are a sort of “build-your-own” with different foods/ingredients being cooked and served separately. The foods are mostly whole foods, with minimal processed food, if at all. We make the meals as friendly as possible to a diverse group of dietary needs. If you have severe food sensitivities such as Celiac, we suggest bringing your own. Cooking is only permitted with portable stoves or in the official fire pit — campfires are not permitted at individual campsites. We ask that each individual bring their own water (5 gallons per person recommended minimum) for the week. We will have minimal potable water, mostly for hand washing and food prep in our kitchen. We provide composting toilets for participants. There is no running water or showers on site. The Luckiamute river runs through the property. We have hand washing stations and potable water near the kitchen area, and near the restrooms. For showers you can go to the Dallas Aquatic Center about a 15 minute drive North (We will have directions and times posted at the event). Pack it in, pack it out. Please be ready to pack out any garbage or recycling waste that you bring into the property. Food scraps can be composted. Everything else like packaging, glass bottles, and food wrappers must be packed out. There is minimal to no cell coverage on site. No minors are allowed at Echoes without parent or guardians present. Campfires are allowed in designated areas only. Alcohol consumption must be responsible and discreet. Smoking must be in the designated smoking areas (next to the fire pits). No Drones. Raptors hate drones, they are not allowed. We may use our own for filming the event for a short duration on a single day. 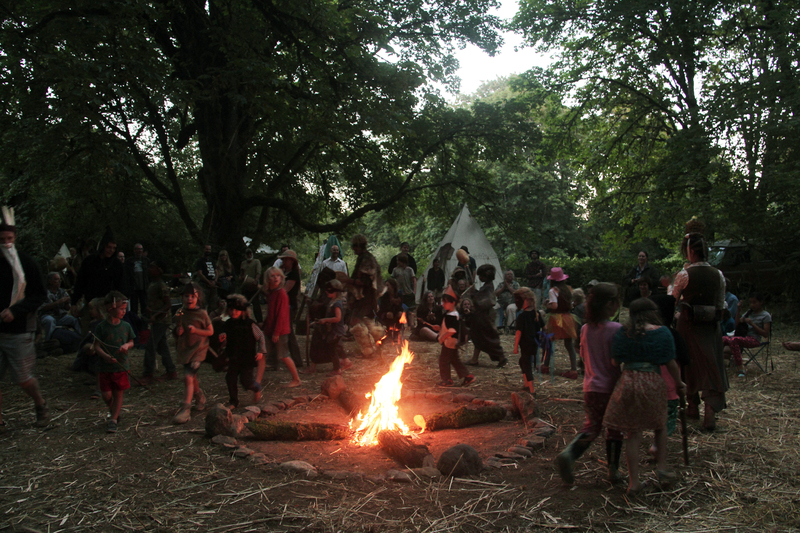 Children must have a parent or guardian (21 or older) in camp at all times. Parents are responsible for their children when the kids aren’t attending classes. Some activities at Echoes (such as flintknapping and atlatl-throwing) are potentially dangerous, so be alert and use your common sense. There are no dogs allowed at Echoes. This is a general rule for most ancestral skills gatherings. This if for the safety and security of everyone. Some instructors are allowed to bring dogs, but will be relegated to the “dog pound” far from the main camp. Registering implies a waiver and release to hosts, property owners, and sponsors that you will sign upon arrival. First aid kit and other personal items like allergy meds, sting kits, and electrolyte replacements. Clothes for all weather conditions. Even in July, we have had downpours that can last a couple days. We recommend checking out this longer, more detailed and general camping list on the REI Website. This is Oregon, so it’s wise to be prepared for rain or sunshine, hot weather or cold. Some years the week has been blazing hot; others, relatively cool, and some even rainy. A coat will serve you well, especially during the nights when it cools off. Echoes offers a work/trade program in which students may be given a discounted registration fee in exchange for assistance in setting up camp and/or other tasks throughout the week. Work/Trade participants must pre-approve with organizers prior to registration. To apply for the work/trade program please fill out the application on our registration page. Students may begin arriving at noon. Camping assignments, registration, and set-up. Student orientation at 7 PM followed by class previews – instructor samples & sign-ups. Special music from town at night’s campfire. Kid’s trade blanket in the evening. Adult trade blanket in the evening. Evening: Costume & Mask night. Classes will end at 5 PM. We must be out of the camp by noon. 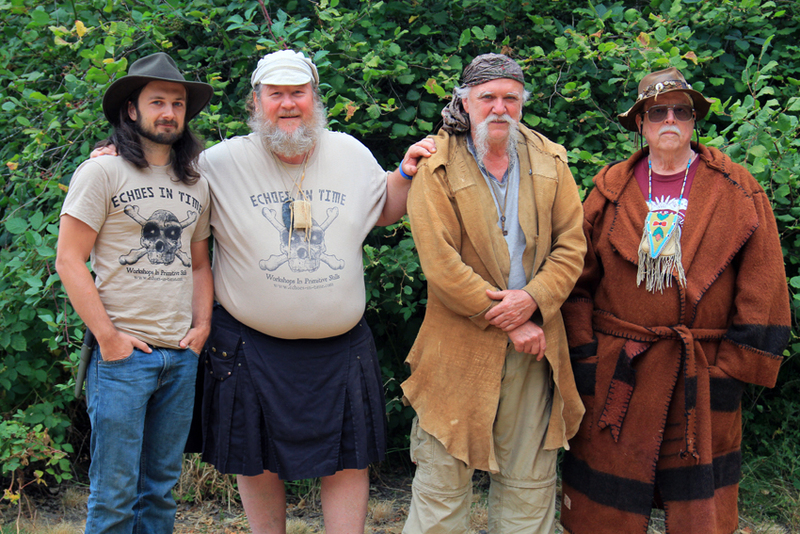 From Left: Peter Bauer, Dale Coleman, Goode Jones, Leland Gilsen. 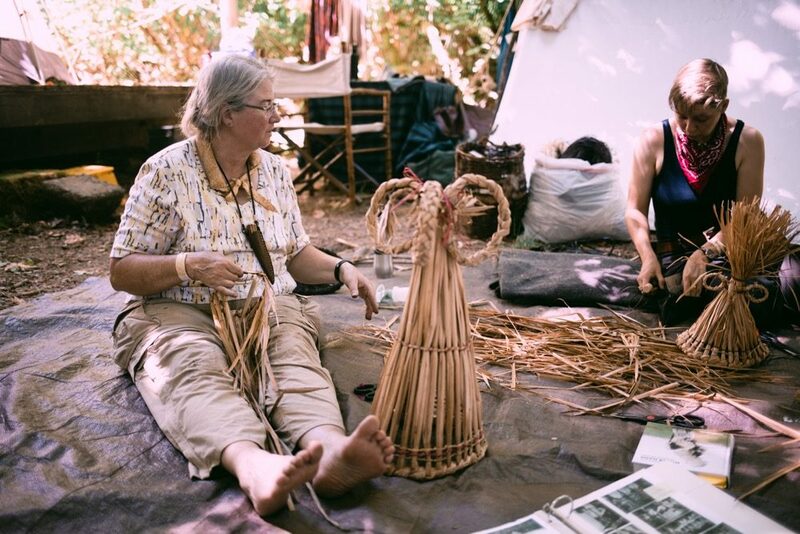 In 1998 Dale Coleman and Goode and Carole Jones decided to start a primitive skills gathering in Oregon, joking seriously about having more people with the same interests to “play with”. For fifteen years they shared their skills and grew Echoes into a regular gathering. Dr. Leland Gilsen, former State Archeologist, joined the Echoes team in 2004 and helped run it for several years. As of June 2010, Dale Coleman was the sole organizer of Echoes along with plenty of volunteers. 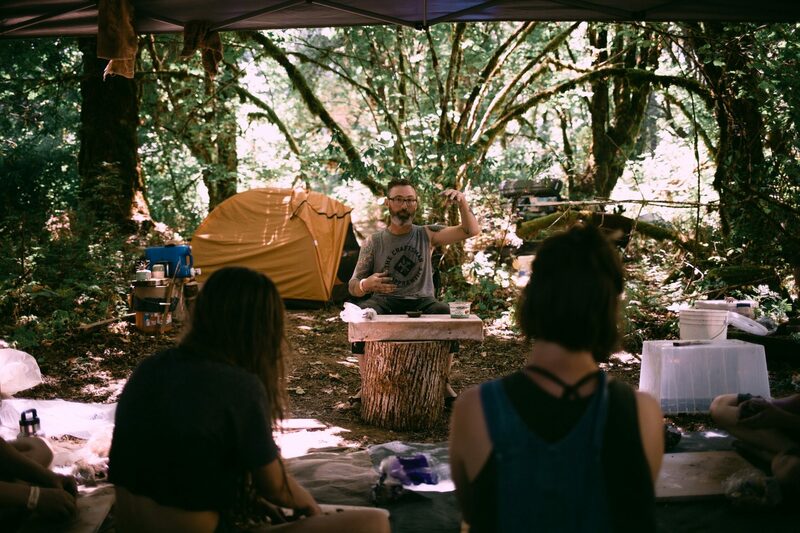 In 2015, Dale passed the event on to the non-profit organization Rewild Portland, which was founded by Echoes regular Peter Bauer. Peter is now the main facilitator of Echoes, with Dale and others as consultants.